You are currently browsing the Archaeofacts.com archives of Musings for the day Friday, February 15th, 2019. 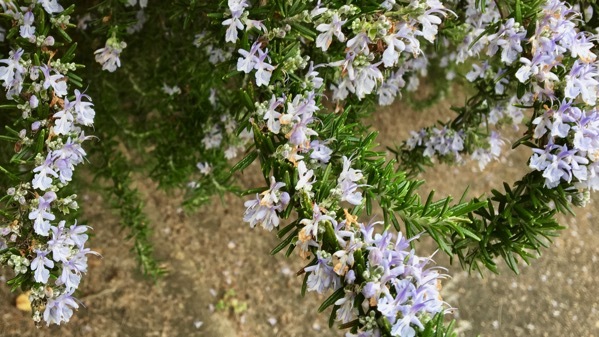 Several front gardens along this street have huge rosemary almost-shrubs that bloom together and look alike. I think they are sister-plants. And now it’s aggressive bloom-time! 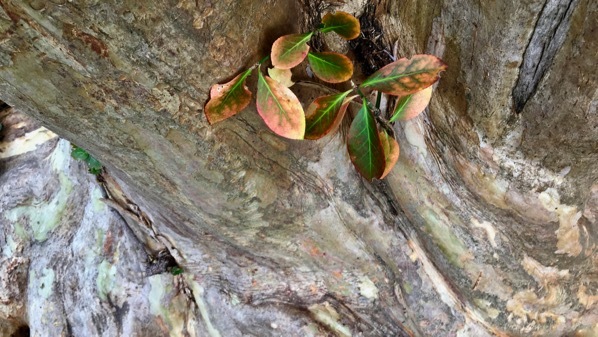 Something caught my eye about the trunk of this large crepe myrtle. Shapes, color. Aesthetics. That street also has this immobilized pickup. It’s been here for something like six years. Usually it’s on the other side of the street. 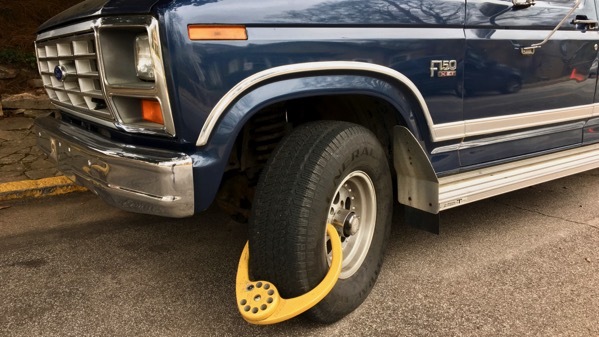 My new hypothesis is that someone is using the boot like a steering wheel “club.” Strange.